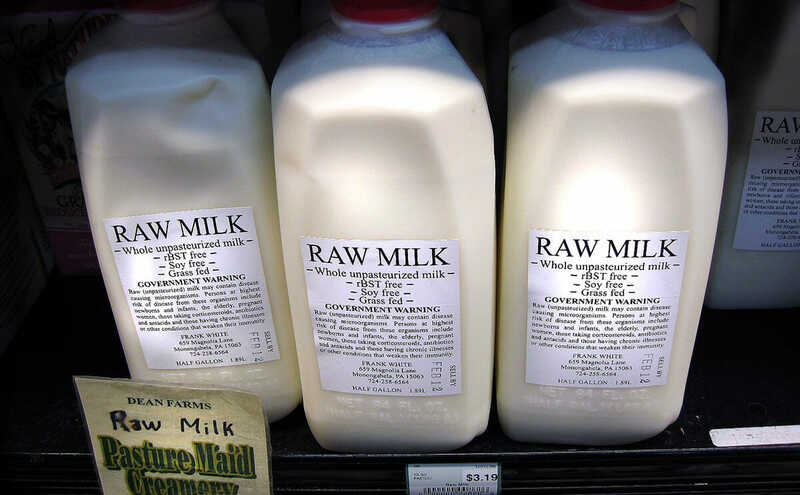 A Michigan workgroup report with an unsexy title may hold the answer to resolving the thorny question of how consumers can legally obtain raw milk. The public health and agriculture regulatory communities have fought tooth and nail over the past half-dozen years against most efforts to loosen restrictions on unpasteurized milk availability for the growing numbers clamoring for it. During this time, raids and searches by both state and federal officials, aimed at countering ostensibly illegal raw-milk sales, have been carried out at farms in Pennsylvania, Wisconsin, Minnesota and California. Laws designed to relax rules affecting raw-milk sales and distribution have been vetoed by governors in Maine, Wisconsin, Nevada and California. Contentious regulatory and legislative hearings about raw milk have been held in Georgia, Connecticut, Massachusetts and Illinois. But in Michigan, the first state to ban raw-milk sales back in the late 1940s and perhaps the most unlikely place to deregulate it, a much different scenario has unfolded. A group of 13 individuals – made up of farmers, academicians, healthcare professionals and regulatory officials – have been quietly working together over a six-year period to find common ground with lawmakers. And they may have found it in the form of a 90-page report – issued without fanfare last December, and endorsed also without publicity in March by the Michigan Department of Agriculture & Rural Development. The report has an unsexy title – “Report of Michigan Fresh Unprocessed Whole Milk Workgroup” – and so low-key was its issuance that it only came out in paper form, though it is available for download here. ”¢ Also contrary to usual FDA reasoning, the workgroup suggests that raw milk can counter a number of chronic diseases and health conditions, including asthma, allergies and lactose intolerance. “Many people with professionally diagnosed lactose intolerance do not have the symptoms of this condition, even when consuming large amounts of fresh milk.” It even can be “beneficial in some autistic children,” and “to treat a variety of intestinal disorders,” the report says. ”¢ For the first time, the workgroup quantifies the “infectious dose” of various pathogens that can lead to illness from raw milk. For example, for the pathogen campylobacter , the infectious dose can be as few as 500 “virulent bacteria,” while for E.coli O157:H7, the infectious dose can be as few as 10, according to the report. The effect of the workgroup report has been to gain firm state endorsement of a policy change that emerged out of a bitter conflict in 2006 and 2007, when Michigan’s Department of Agriculture initiated the nation’s first significant skirmish over raw milk. In October of that year, agriculture agents confiscated thousands of dollars’ worth of raw milk from farmer Richard Hebron, as he was delivering it to a cooperative in Ann Arbor. The state maintained that its late-1940s law requiring all milk to be pasteurized prohibited any and all distribution of raw milk. The cooperative argued it was obtaining the milk privately, outside the publicly regulated food system. Over the next six months, a local prosecutor investigated the case, eventually deciding not to prosecute Hebron on criminal charges, as recommended by the state agriculture regulators. The case was settled with Hebron paying a small fine, and the state’s attorney general sanctioning, at least temporarily, herd-share arrangements, whereby consumers sign agreements that give them a partial interest in a herd of cows, as a means for people to obtain raw milk. Hoping to avoid another incident like the Hebron case, proponents and opponents of raw milk formed the workgroup to see if they couldn’t develop a compromise. No one thought the process would drag on for six years, though. During that time, a vibrant raw-milk industry emerged, and dozens of small dairies have organized herd shares for small groups of local consumers. Can the Michigan model for accommodation over raw milk work in other states? No one knows for sure. But in the many states where deep divisions exist, it may be worth evaluating what the Michigan workgroup was able to accomplish by committing itself single-mindedly to resolving one of the thorniest agriculture and public health issues out there.